[These are sample request letter format for Tax Exemption from Sales. A letter for Tax Exemption (review of applications) is written by the authority in the tax department. You can modify these sample as your requirement. A group of volunteers of [Foundation/Organization Name] had arranged (Arrangement type) at (Auditorium or theater name) to raise funds for students of (Foundation name). (Describe in your own words). Keeping in mind that the event was for a very worthy cause and all the fundraising had been donated to (Foundation name). (Explain the actual cause and situation). Kindly exempt any taxes on the raised money from this event and refund the security amount of (Money Amount) as soon as possible. (Cordially Describe your requirements). [Foundation/Organization name] is a charity organization (Type of organization) working for special education (Activities type) in underdeveloped areas. As per Ordinance 1984, charitable organizations are exempted from any under section A3. (Describe in your own words). (Explain government rules and regulations). We are submitting our annual audit report and details of our projects. (Explain the actual cause and situation). 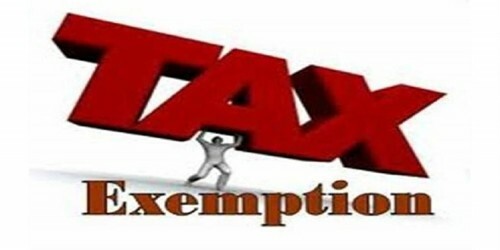 On behalf of (Foundation/Organization name), I request you to please issue the Tax Exemption Certificate for (Foundation/Organization name). (Cordially Describe your requirements). I will be at your complete disposal of any information/reports/ that you may require to process our request. Looking for your kind consideration.